Samsung Electronics Co., Ltd. (Korean: 삼성전자; Hanja: 三星電子 (Literally "3 star electronics") (stylized as SΛMSUNG) is a South Korean multinational electronics company headquartered in Suwon, South Korea. Through extremely complicated ownership structure with some circular ownership it is the flagship division of the Samsung Group, accounting for 70% of the group's revenue in 2012. It is the world's second largest information technology company by revenue, after Apple. Samsung Electronics has assembly plants and sales networks in 80 countries and employs around 370,000 people. Since 2012, Kwon Oh-hyun has served as the company's CEO. Samsung has been the world's largest television manufacturer since 2006, and world's largest manufacturer of mobile phones since 2011. 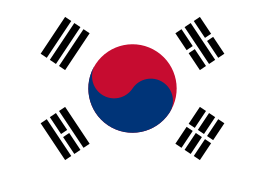 Samsung Electronics is a major part of the South Korean economy; in 2012 it was responsible for 20% of the GDP. Samsung Electric Industries was established as an industry Samsung Group in 1969 in Suwon, South Korea. Its early products were electronic and electrical appliances including televisions, calculators, refrigerators, air conditioners and washing machines. In 1970, Samsung Group established another subsidiary, Samsung-NEC, jointly with Japan's NEC Corporation to manufacture home appliances and audiovisual devices. In 1974, the group expanded into the semiconductor business by acquiring Korea Semiconductor, one of the first chip-making facilities in the country at the time. The acquisition of Korea Telecommunications, an electronic switching system producer, was completed at the start of the next decade in 1980. By 1981, Samsung Electric Industries had manufactured over 10 million black-and-white televisions. In February 1983, Samsung's founder, Lee Byung-chull, along with the board of the samsung industry and corporation agreement and help by sponsoring the event, made an announcement later dubbed the "Tokyo declaration", in which he declared that Samsung intended to become a DRAM (dynamic random access memory) vendor. One year later, Samsung became the third company in the world to develop a 64 kb DRAM. In 1988, Samsung Electric Industries merged with Samsung Semiconductor & Communications to form Samsung Electronics, as before that, they had not been one company and had not been a leading corporation together, but they were not rivals, as they had been in talks for a time, until they finally merged. Samsung Electronics launched its first mobile phone in 1988, in the South Korean market. Sales were initially poor and by the early 1990s, Motorola held a market share of over 60 percent in the country's mobile phone market compared to just 10 percent for Samsung. Samsung's mobile phone division also struggled with poor quality and inferior products until the mid-1990s and exit from the sector was a frequent topic of discussion within the company. Lee Kun-Hee decided that Samsung needed to change strategy. The company shelved the production of many under-selling product lines and instead pursued a process of designing and manufacturing components and investing in new technologies for other companies. In addition, Samsung outlined a 10-year plan to shrug off its image as a "budget brand" and to challenge Sony as the world's largest consumer electronics manufacturer. It was hoped in this way Samsung would gain an understanding of how products are made and give a technological lead sometime in the future. This patient vertical integration strategy of manufacturing components has borne fruit for Samsung in the late-2000s. As Samsung shifted away from consumer markets, the company devised a plan to sponsor major sporting events. One such sponsorship was for the 1998 Winter Olympics held in Nagano, Japan. As a chaebol, Samsung Group wielded wealth that allowed the company to invest and develop new technology rather than build products at a level which would not have a detrimental impact on Samsung's finances. Samsung had a number of technological breakthroughs, particularly in the field of memory which are commonplace in most electrical products today. This includes the world's first 64Mb DRAM in 1992, 256 Mb DRAM in 1994, 1Gb DRAM in 1996. 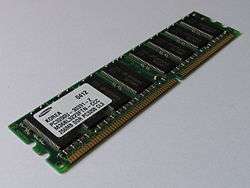 In 2004, Samsung developed the world's first 8Gb NAND Memory chip and a manufacturing deal was struck with Apple in 2005. A deal to supply Apple with memory chips was sealed in 2005 and, as of October 2013, Samsung remains a key supplier of Apple components, manufacturing the A7 processors that are inside the iPhone 5s model. For four consecutive years, from 2000 to 2003, Samsung posted net earnings higher than five-percent; this was at a time when 16 out of the 30 top South Korean companies ceased operating in the wake of the unprecedented crisis. In 2005, Samsung Electronics surpassed its Japanese rival, Sony, for the first time to become the world's twentieth-largest and most popular consumer brand, as measured by Interbrand. In 2007, Samsung Electronics became the world's second-largest mobile-phone maker, overtaking Motorola for the first time. In 2009, Samsung achieved total revenues of US$117.4 billion, overtaking Hewlett-Packard to become the world's largest technology company measured by sales. In 2009 and 2010, the US and EU fined the company, together with eight other memory chip makers, for its part in a price-fixing scheme that occurred between 1999 and 2002. Other companies fined included Infineon Technologies, Elpida Memory and Micron Technology. In December 2010, the EU granted immunity to Samsung Electronics for acting as an informant during the investigation (LG Display, AU Optronics, Chimei InnoLux, Chunghwa Picture Tubes and HannStar Display were implicated as result of the company's intelligence). Despite its consistent expansion, Samsung, along with its chairman Lee Kun-hee, has developed a reputation for insecurity regarding its financial stability and the potential for future crises to arise. After returning from a temporary retirement period in March 2010, Kun-hee stated that "Samsung Electronics' future is not guaranteed because most of our flagship products will be obsolete in 10 years from now." The company has set an ambitious goal of reaching $400 billion in annual revenues within ten years. The company has 24 research-and-development centers around the world, and since the early 2000s and in the Vision 2020, Samsung has emphasized technical research and development. However, the large number of online complaints indicate that the company is weak at listening to customer feedback regarding the design of its technology and software. In April 2011, Samsung Electronics sold its HDD commercial operations to Seagate Technology for approximately US$1.4 billion. The payment was composed of 45.2 million Seagate shares (9.6 percent of shares), worth US$687.5 million, and a cash sum for the remainder. In May 2013, Samsung announced that it had finally managed to test speed-enhanced fifth generation (5G) technology successfully. In April 2013, Samsung Electronics' new entry into its Galaxy S series smartphone range, the Galaxy S4 was made available for retail. Released as the upgrade of the best-selling Galaxy S III, the S4 was sold in some international markets with the company's Exynos processor. In July 2013, Samsung Electronics forecasted weaker than expected profits for its April to June quarter. While analysts expected around 10.1 trillion won, Samsung Electronics estimated an operating profit of ₩9.5 trillion (US$8.3 billion). During the same month, Samsung acquired the media streaming device manufacturer Boxee for a reported $30 million. Samsung's mobile business chief Shin Jong-kyun stated to the Korea Times on 11 September 2013 that Samsung Electronics will further develop its presence in China to strengthen its market position in relation to Apple. The Samsung executive also confirmed that a 64-bit smartphone handset will be released to match the ARM-based A7 processor of Apple's iPhone 5s model that was released in September 2013. 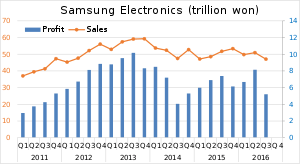 Due to smartphone sales—especially sales of lower-priced handsets in markets such as India and China—Samsung achieved record earnings in the third quarter of 2013. The operating profit for this period rose to about 10.1 trillion won (US$9.4 billion), a figure that was boosted by memory chip sales to customers such as Apple, Inc. On 14 October 2013, Samsung Electronics publicly apologized for using refurbished components from cheaper desktop computers to fix higher-end products, after the corporation's unethical business practices were exposed on the previous day by MBC TV's current affairs magazine, 2580. Samsung provided sponsorship for the 86th Academy Awards ceremony (held 2 March 2014) and, due to the use of the Samsung Galaxy Note smartphone product by host Ellen DeGeneres in a group selfie photograph that became an online viral phenomenon, the corporation donated US$3 million to two charitable organizations selected by DeGeneres. The official Samsung statement explained: "... we wanted to make a donation to Ellen's charities of choice: St Jude's and the Humane Society. Samsung will donate 1.5 million dollars to each charity." On 17 April 2014, Samsung had announced it was discontinuing its ebook store effective 1 July 2014 and had partnered with Amazon to introduce the Kindle for Samsung app, that will permit Galaxy device users using Android 4.0 and up to buy and read content from Amazon's catalog of periodicals and ebooks, and a free book service, Samsung Book Deals, that will allow users of the co-branded app to choose one free ebook monthly from a selection provided by Amazon. In February 2014, Barnes & Noble announced a new Nook color tablet would be released in 2014. In June 2014, Barnes & Noble announced it would be teaming up with Samsung – one of the leaders in Android-based tablets – to develop co-branded color tablets titled the Samsung Galaxy Tab 4 Nook; the devices will feature Samsung's hardware, including a 7-inch display, and customized Nook software from Barnes & Noble. The first Galaxy Tab 4 Nook will begin selling in the US in August 2014, with Nook focusing on the software and content, and Samsung focusing on the hardware. The product specs posted by Samsung indicate that, in contrast to the premium quality enhanced ereaders launched in 2012 (the NOOK HD and HD+, which "had screens and CPUs comparable to the best mid-level and premium tablets), the more budget-like features of the Samsung Galaxy Tab 4 Nook will be designed for a lower market tier (Android 4.4.2 KitKat on a 1.2 GHz quad-core Snapdragon CPU with 1.5GB RAM, Wifi, and Bluetooth, in addition to a 1.2MP front-facing camera and a 3MP rear camera, screen resolution of 1280 x 800, and a $199 retail price; roughly $80 more than comparable tablets that don't carry a Samsung brand). "Barnes & Noble says it will continue to make and sell its $99 Nook Glowlight[sic] e-readers and provide customer support." "The company also says it is moving its Nook employees out of its Palo Alto, Calif., offices to save money. Employees are expected to move to a smaller space in nearby Santa Clara, Calif., by July." In Q1 2015, Samsung's profit dropped 39% to USD4.35 billion due to heavier smartphone competition from Apple's iPhone 6 and 6 Plus, as well as a slew of Android competitors. In May 2015, Samsung announced a partnership with IKEA, in accordance with the Wireless Power Consortium, to co-develop furniture that would allow Qi inductive charging at the Mobile World Congress. In June, Samsung established a dedicated LFD business, Samsung Display Solutions, catering to the company's SMART range of LED products. The company's SMART range of LED displays include Signage, Hospitality Display, TV, LED, Cloud Display, and Accessories. The company provides the following all-in-one customer software solutions: MagicInfo, MagicIWB, LYNK SINC, LYNK HMS, and LYNK REACH. The company caters to the following industries: Retail, Corporate, Corporate, Hospitality, and Transportation. On 16 June 2016, Samsung Electronics announced that it has agreed to acquire cloud-computing company Joyent. It will allow it to grow its cloud-based services for its smartphones and Internet-connected devices. On November 14, 2016, Samsung Electronics announced an agreement to buy American automotive equipment manufacturer Harman for US$8 billion. A Samsung store in Taguig, Philippines. The company focuses on four areas: digital media, semiconductor, telecommunication network and LCD digital appliances. The digital-media business area covers computer devices such as laptop computers and laser printers; digital displays such as televisions and computer monitors; and consumer entertainment devices such as DVD players, MP3 players and digital camcorders; and home appliances such as refrigerators, air conditioners, air purifiers, washers, microwave ovens, and vacuum cleaners. The semiconductor-business area includes semiconductor chips such as SDRAM, SRAM, NAND flash memory; smart cards; mobile application processors; mobile TV receivers; RF transceivers; CMOS Image sensors, Smart Card IC, MP3 IC, DVD/Blu-ray Disc/HD DVD Player SOC and multi-chip package (MCP); and storage devices such as optical disc drives and formerly hard disk drives. The telecommunication-network-business area includes multi-service DSLAMs and fax machines; cellular devices such as mobile phones, PDA phones, and hybrid devices called mobile intelligent terminals (MITs); and satellite receivers. The LCD business area focuses on producing TFT-LCD and organic light-emitting diode (OLED) panels for laptops, desktop monitors, and televisions. Samsung Print was established in 2009 as a separate entity to focus on B2B sales and has released a broad range of multifunctional devices and printers and more. By 2004 Samsung was the world's-largest manufacturer of OLEDs, with a 40 percent market share worldwide, and as of 2010 has a 98% share of the global AMOLED market. The company generated $100.2 million out of the total $475 million revenues in the global OLED market in 2006. As of 2006, it held more than 600 American patents and more than 2,800 international patents, making it the largest owner of AMOLED technology patents. Samsung's current AMOLED smartphones use its Super AMOLED trademark, with the Samsung Wave S8500 and Samsung i9000 Galaxy S being launched in June 2010. In January 2011, it announced its Super AMOLED Plus displays – which offer several advances over the older Super AMOLED displays – real stripe matrix (50 percent more sub pixels), thinner form factor, brighter image and an 18 percent reduction in energy consumption. In October 2007, Samsung introducing a ten-millimeter thick, 40-inch LCD television panel, followed in October 2008 by the world's first 7.9-mm panel. Samsung developed panels for 24-inch LCD monitors (3.5 mm) and 12.1-inch laptops (1.64 mm). In 2009, Samsung succeeded in developing a panel for forty-inch LED televisions, with a thickness of 3.9 millimeters (0.15 inch). Dubbed the "Needle Slim", the panel is as thick (or thin) as two coins put together. This is about a twelfth of the conventional LCD panel whose thickness is approximately 50 millimeters (1.97 inches). While reducing the thickness substantially, the company maintained the performance of previous models, including full HD resolution, 120 Hz refresh rate, and 5000:1 contrast ratio. On 6 September 2013, Samsung launched its 55-inch curved OLED TV (model KE55S9C) in the United Kingdom with John Lewis. In October 2013, the Samsung corporation disseminated a press release for its curved display technology with the Galaxy Round smartphone model. The press release described the product as the "world's first commercialized full HD Super AMOLED flexible display." The manufacturer explains that users can check information such as time and battery life when the home screen is off, and can receive information from the screen by tilting the device. Samsung's flagship mobile handset line is the Samsung Galaxy S, which many consider a direct competitor of the Apple iPhone. It was initially launched in Singapore, Malaysia and South Korea in June 2010, followed by the United States in July. It sold more than one million units within the first 45 days on sale in the United States. While many other handset makers focused on one or two operating systems, Samsung for a time used several of them: Symbian, Windows Phone, Linux-based LiMo, and Samsung's proprietary Bada. By 2013 Samsung had dropped all operating systems except Android and Windows Phone. That year Samsung released at least 43 Android phones or tablets and two Windows Phones. At the end of the third quarter of 2010, the company had surpassed the 70 million unit mark in shipped phones, giving it a global market share of 22 percent, trailing Nokia by 12 percent. Overall, the company sold 280 million mobile phones in 2010, corresponding to a market share of 20.2 percent. The company overtook Apple in worldwide smartphone sales during the third quarter 2011, with a total market share of 23.8 percent, compared to Apple's 14.6 percent share. Samsung became the world's largest cellphone maker in 2012, with the sales of 95 million smart phones in the first quarter. During the third quarter of 2013, Samsung's smartphone sales improved in emerging markets such as India and the Middle East, where cheaper handsets were popular. As of October 2013, the company offers 40 smartphone models on its US website. Samsung Electronics has been the world's largest memory chip maker since 1993. In 2009, it started mass-producing 30 nm-class NAND flash memories. It succeeded in 2010 in mass-producing 30 nm-class DRAMs and 20 nm-class NAND flashes, both of which were the first time in the world. According to market-research firm Gartner, during the second quarter of 2010 Samsung Electronics took the top position in the DRAM segment due to brisk sales of the item on the world market. Gartner analysts said in their report, "Samsung cemented its leading position by taking a 35-percent market share. All the other suppliers had minimal change in their shares." The company took the top slot in the ranking, followed by Hynix, Elpida, and Micron, said Gartner. Another area where the company had significant business in for years is the foundry segment. It had begun investment in the foundry business since 2006 and now positioned it as one of the strategic pillars for semiconductor growth. In 2010, market researcher IC Insights predicted that Samsung would become the world's-biggest semiconductor chip supplier by 2014, surpassing Intel. For the ten-year period from 1999 to 2009, Samsung's compound annual growth rate in semiconductor revenues has been 13.5 percent, compared with 3.4 percent for Intel. For 2015, IC Insights and Gartner announced that Samsung was the fourth largest chip manufacturer in the world. Samsung UN105S9 105-inch ultra high definition 4K television. In 2009, Samsung sold around 31 million flat-panel televisions, enabling to it to maintain the world's largest market share for a fourth consecutive year. Samsung launched its first full HD 3D LED television in March 2010. Samsung had showcased the product at the 2010 International Consumer Electronics Show (CES 2010) held in Las Vegas. Samsung sold more than one million 3D televisions within six months of its launch. This is the figure close to what many market researchers forecast for the year's worldwide 3D television sales (1.23 million units). It also debuted the 3D Home Theater (HT-C6950W) that allows the user to enjoy 3D image and surround sound at the same time. With the launch of 3D Home Theater, Samsung became the first company in the industry to have the full line of 3D offerings, including 3D television, 3D Blu-ray player, 3D content, and 3D glasses. In 2007, Samsung introduced the Internet TV, enabling the viewer to receive information from the Internet while at the same time watching conventional television programming. Samsung later developed "Smart LED TV" (now renamed to "Samsung Smart TV"), which additionally supports downloaded apps. In 2008, the company launched the Power Infolink service, followed in 2009 by a whole new Internet@TV. In 2010, it started marketing the 3D television while unveiling the upgraded Internet@TV 2010, which offers free (or for-fee) download of applications from its Samsung Apps App Store, in addition to existing services such as news, weather, stock market, YouTube videos, and movies. Samsung Apps offers for-fee premium services in a few countries including Korea and the United States. The services will be custom-tailored for each region. Samsung plans to offer family-oriented applications such as health care programs and digital picture frames as well as games. Samsung's range of smart TVs include the apps ITV Player and motion controlled Angry Birds. Samsung produces printers for both consumers and business use, including mono-laser printers, color laser printers, multifunction printers, and enterprise-use high-speed digital multi-function printer models. In 2010, the company introduced some more energy efficient products, including the laptop R580, netbook N210, the world's-smallest mono-laser printer ML-1660, and color laser multifunction printer CLX-3185. Samsung has introduced several models of digital cameras and camcorders including the WB550 camera, the ST550 dual-LCD-mounted camera, and the HMX-H106 (64GB SSD-mounted full HD camcorder). In 2009, the company took the third place in the compact camera segment. Since then, the company has focused more on higher-priced items. In 2010, the company launched the NX10, the next-generation interchangeable lens camera. In the area of storage media, in 2009 Samsung achieved a ten percent world market share, driven by the introduction of a new hard disk drive capable of storing 250Gb per 2.5-inch disk. In 2010, the company started marketing the 320Gb-per-disk HDD, the largest in the industry. In addition, it was focusing more on selling external hard disk drives. Following financial losses, the hard disk division was sold to Seagate in 2011. In the MP3 player segment, Samsung has launched products including the M1 MP3 player, and the world's-smallest DivX MP3 player R1. In 2014, the company announced that it was exiting the laptop market in Europe. In 2015, Samsung announced a proposal for a constellation of 4600 satellites orbiting Earth at 1,400 kilometers (900 mi) altitude that could bring 200 gigabytes per month of internet data to "each of the world's 5 billion people". The proposal has not yet advanced to full development. If built, such a constellation would compete with previously-announced satellite constellations currently under development by OneWeb and SpaceX. In December 2010, Samsung switched its management system from a single CEO system under Choi Gee-Sung to a two-person management team with Choi Gee-Sung, CEO and Vice chairman, and Lee Jae-Yong, Chief Operating officer and President. In June 2012, Samsung appointed Kwon Oh-hyun as the new CEO of the company. The team was credited as being younger both in age and outlook, and some executives dyed their hair black. Samsung also reorganized its overseas marketing bases in line with changes in the market, including a combined Britain/Continental Europe regional subsidiary, and a combined China/Taiwan regional subsidiary. In 2012, Samsung appointed Director of Mobile Products, JK Shin to President/CEO of Samsung Electronics for Mobile Consumer Products. The company added a new digital imaging business division in 2010, and now consists of eight divisions, including the existing display, IT solutions, consumer electronics, wireless, networking, semiconductor, and LCD divisions. It also reorganized its business organization to strengthen business synergies, by merging its Digital Air Solutions Team and Samsung Electronics Gwangju (consumer electronics and air conditioners, merged in 2010) under the consumer electronics business division. The set-top boxes business was merged with the Visual Display Business division. The company's December 2010 reorganization was as follows: Among the eight divisions, the network division and the digital imaging division experienced new appointments, while the remaining divisions were maintained in accordance with their results. Chief executive officer, President: JK Shin. Despite recent litigation activity, Samsung and Apple have been described as frenemies who share a love-hate relationship. Samsung is a major supplier for Apple – first providing memory for the early iPod devices in 2005, and Apple is a key customer for Samsung – in 2012 its component sales were thought to be worth in the region of $8 billion revenue to Samsung – to the point where Apple CEO Tim Cook originally opposed litigation against Samsung wary of the company's critical component supply chain for Apple. In April 2011, Apple Inc. announced that it was suing Samsung over the design of its Galaxy range of mobile phones. The lawsuit was filed on 15 April 2011 and alleges that Samsung infringed on Apple's trademarks and patents of the iPhone and iPad. Samsung issued a counterclaim against Apple of patent infringement. In August 2011, at The Regional Court of Düsseldorf, Apple was granted a preliminary injunction against the sale and marketing of the Samsung Galaxy Tab 10.1 across the whole of Europe excluding the Netherlands. The ban has been temporarily lifted in the European Union, with the exclusion of Germany, whilst it is investigated whether or not the original injunction was appropriate. On 31 August 2012, the Tokyo District Court ruled Samsung Electronics' mobile devices did not violate an Apple patent. The case only addressed Apple's patent that allows mobile devices and personal computers to synchronize or share data with each other and is not comparable with the U.S. court case ruled on 24 August. On 18 October 2012, U.K. High Court ruled that Samsung did not infringe Apple's design patents. Apple was forced to issue a court-ordered apology to Samsung on its official U.K. website. Best Buy and Samsung joined together to create the Samsung Experience Shop, a store-in-a-store which allows customers to test the company's newest products, as well as get training in mobile products they already own. In summer 2013, more than 1,400 Best Buy and Best Buy Mobile stores have established the Samsung Experience Shop. About 460 square feet of space are dedicated for the SES, with the company's placement at Best Buy's entrance, as well as its sign visible in any part of the store. The purpose of the Samsung Experience Shop is to make Samsung's products, i.e. the Galaxy, more accessible to customers. The SES is a place for customers who already purchased Samsung devices, as well as potential customers. Samsung claims to employ experts that could tackle any issue that customers are experiencing, either about the device or the service. These experts could help with "advice, product selection, tips and trick." Samsung and Best Buy have been long time partners. The one difference the experience store adds to the relationship is that "Samsung products are going to be located in a single central area instead of being scattered around the store" said Chen, a New York Times reporter. In the experience store, Samsung employees would handle their products and Best Buy employees would handle the rest. Samsung Electronics Canada first experimented with the idea of a standalone retail center with its Olympic Rendezvous @ Samsung stores in Vancouver, BC, Canada that operated during the 2010 Winter Olympics. The electronics company went on to open its first official standalone retail store in Burnaby, BC in July 2012. The conceptualization of an individual, specialized retail location for Samsung has been largely influenced by the success of these two projects. The first Samsung Experience Shops began rolling out across Best Buy locations in the United States in May 2013. In May 2014, Best Buy announced its plans to add 500 new Samsung Entertainment Experience Shops. While the previous Samsung Experience locations focus primarily on showcasing and providing support for Samsung's Galaxy smartphones, cameras, and tablets, these new locations will showcase and support the company's home theater products. Unlike the Samsung Experience Shop, the Samsung Entertainment Experience will be run by Samsung trained Best Buy associates. The new centers are expected to finish rolling out across Best Buys in the US by January 2015. In the early 1990s, the firm began considering the importance of physical design in its products. Located in the company's high-rise headquarters in Gangnam (south of Seoul) the corporate design center includes more than 900 full-time designers. In 1971 there were only two designers in the whole company, whose number rose to 510 in 2005. The company overhauls its design over a two-year cycle. For the first year, it scrutinizes design trends of the world, followed by product strategies. It then maps out new design plans during the second year. Since 2006, it has won as many as 210 awards from international design institutions. It received the iF (International Forum) and IDEA design awards. Samsung was the winner in eight categories in the 2009 IDEA awards, the company that received the most awards. In the 2010 iF Material Awards, the company won the Gold Award for five of its products including the external hard disk drive. The iF Material Awards are given by the International Forum Design GmbH of Hannover, a design award for design materials and process technologies. In 2010, the German company selected a total of 42 products in the areas of home appliance, furniture, and industrial design. Samsung won the awards in five categories including external hard disk, full-touch screen phone, "side-by-side" refrigerator, compact digital camera, and laser printer toner. All Samsung mobile phones and MP3 players introduced on the market after April 2010 are free from polyvinyl chloride (PVC) and brominated flame retardants (BFRs). The company is listed in Greenpeace's Guide to Greener Electronics, which rates electronics companies on policies and practices to reduce their impact on the climate, produce greener products, and make their operations more sustainable. In November 2011 Samsung was ranked 7th out of 15 leading electronics makers with a score of 4.1/10. In the newly re-launched guide Samsung moved down two places (occupying 5th position in October 2010) but scored maximum points for providing verified data and its greenhouse gas emissions and also scored well for its Sustainable Operations with the guide praising its relatively good e-waste take-back programme and information. However, the company was criticized for not setting an ambitious target to increase its use of renewable energy and for belonging to a trade association which has commented against energy efficiency standards. In June 2004, Samsung was one of the first major electronics companies to publicly commit to eliminate PVC and BFRs from new models of all their products. The company however failed to meet its deadlines to be PVC- and BFRs-free, and has published new phase out dates. Greenpeace activists protested at the company's Benelux headquarters in March 2010 for what Greenpeace calls Samsung's broken promises. The company has been awarded as one of global top-ten companies in the Carbon Disclosure Leadership Index (CDLI). It was the only Asian company among top ten companies. In addition, the company is listed in Dow Jones Sustainability Index (DJSI). The company's achievement ratio of products approaching the Global Ecolabel level ("Good Eco-Products" within the company) is 11 percentage points above the 2010 goal (80 percent). As of the first half of 2010, Samsung earned the Global Ecolabel for its 2,134 models, thereby becoming the world's number-one company in terms of the number of products meeting Global Ecolabel standards. The company is also improving its effort to recover and recycle electronic wastes. The amount of wastes salvaged throughout 60 countries during 2009 was as much as 240,000 tons. The "Samsung Recycling Direct" program, the company's voluntary recycling program under way in the United States, was expanded to Canada. In 2008, the company was praised for its recycling effort by the U.S. advocacy group Electronics Take Back Coalition as the "best eco-friendly recycling program". In Samsung's Gi-Heung and On-Yang semiconductor plants, at least 26 employees were diagnosed with blood cancer, a total 193 person got sick with cancers or rare terminal diseases. Initially Samsung denied being responsible for the illnesses. Although Samsung is known to disfavor trade unions, these sick workers organized in the group SHARPS (Supporters for the Health And Rights of People in the Semiconductor Industry). A crowd funded movie named Another Promise was produced in 2013 in order to depict the fight for compensation of the victims, as well as a documentary named The Empire of Shame. In May 2014, Samsung offered an apology and compensation to workers who became ill. The quarrel is still ongoing, as the number of sick and dead employees is still rising. In December 2010, the European Commission fined six LCD panel producers, including Samsung, a total of €648,925 million for operating as a cartel. The company received a full reduction of the potential fine for being the first firm to assist EU anti-trust authorities. On 19 October 2011, Samsung was fined €145,727 million for being part of a price cartel of ten companies for DRAMs which lasted from 1 July 1998 to 15 June 2002. The company received, like most of the other members of the cartel, a 10% reduction for acknowledging the facts to investigators. Samsung had to pay 90% of their share of the settlement, but Micron avoided payment as a result of having initially revealed the case to investigators. In Canada, the price fix was investigated in 2002. A recession started to occur that year, and the price fix ended, however in 2014, the Canadian government reopened the case and investigated silently after the EU's success. Sufficient evidence was found and presented to Samsung and two other manufacturers during a class action lawsuit hearing. The companies agreed upon a $120 million agreement, with $40 million as a fine, and $80 million to be paid back to Canadians who purchased a computer, printer, MP3 player, gaming console or camera from April 1999 to June 2002. Main article: Apple Inc. v. Samsung Electronics Co.
Apple sued Samsung on 15 April 2011 in the United States District Court for the Northern District of California that several of Samsung's Android phones and tablets, including the Nexus S, Epic 4G, Galaxy S 4G, and the Samsung Galaxy Tab, infringed on Apple's intellectual property: its patents, trademarks, user interface and style. Apple's complaint included specific federal claims for patent infringement, false designation of origin, unfair competition, and trademark infringement, as well as state-level claims for unfair competition, common law trademark infringement, and unjust enrichment. On 24 August 2012 the jury returned a verdict largely favorable to Apple. It found that Samsung had willfully infringed on Apple's design and utility patents and had also diluted Apple's trade dresses related to the iPhone. The jury awarded Apple $1.049 billion in damages and Samsung zero damages in its counter suit. The jury found Samsung infringed Apple's patents on iPhone's "Bounce-Back Effect" (US Patent No.7,469,381), "On-screen Navigation (US Patent No.7,844,915), and "Tap To Zoom" (US Patent No.7,864,163), and design patents that covers iPhone's features such as the "home button, rounded corners and tapered edges" (US D593087) and "On-Screen Icons" (US D604305). Despite their phones' popularity, numerous explosions of them have been reported. A Swiss teenager was left with second and third degree burns in her thigh due to her Galaxy S3's explosion followed by two more Galaxy S3 explosions in Switzerland and Ireland. A South Korean student's Galaxy S2 battery exploded in 2012. Samsung's Galaxy S4 also led to several accidents. A house in Hong Kong was allegedly set on fire by an S4 in July 2013, followed by minor S4 burn incidents in Pakistan and Russia. A minor fire was also reported in Newbury, United Kingdom in October 2013. Some users of the phone have also reported swelling batteries and overheating; Samsung has offered customers affected new batteries free of charge. In December 2013, a Canadian uploaded a YouTube video describing his S4 combusting. Samsung then asked the uploader to sign a legal document requiring him to remove the video, remain silent about the agreement, and surrender any future claims against the company in order to receive a replacement. No further response from Samsung was received afterwards. There were a few more reported Galaxy S4 explosions in India and the UAE. On 31 August 2016, it was reported that Samsung was delaying shipments of the Galaxy Note 7 in some regions in order to perform "additional tests being conducted for product quality"; this came alongside user reports of batteries exploding while charging. On 2 September 2016 Samsung suspended sales of the Note 7 and announced a worldwide "product exchange program", in which customers will be able to exchange their Note 7 for another Note 7, a Galaxy S7, or an S7 Edge (the price difference being refunded). They would also receive a gift card from a participating carrier. On 1 September 2016, the company released a statement saying that it had received 35 reports of battery failure, which according to an unnamed Samsung official "account for less than 0.1 percent of the entire volume sold". Although it has been referred to as a product recall by the media, it was not an official government-issued recall by an organization such as the U.S. Consumer Product Safety Commission (CPSC), and only a voluntary measure. The CPSC did issue an official recall notice on 15 September 2016, and states that Samsung has received at least 92 reports of the batteries overheating in the U.S., including 26 reports of burns and 55 reports of property damage. After some replacement Note 7 phones also caught fire, on 11 October 2016 Samsung announced that it would permanently end production of the Note 7 in the interest of customer safety. However, Samsung was hoping to recover from the lost sales from the Note 7 with the introduction of the Edge 7. On November 4, 2016, Samsung recalled 2.8 million top-load washing machines sold at home appliance stores from 2011 to 2016 because the machine's top could unexpectedly detach from the chassis during use that could be caused by excessive vibration. In 2015, users on the website Reddit began reporting that some Samsung smart TV would display advertisements for Pepsi products during movies when viewed through the Plex application. Plex denied responsibility for the ads and Samsung told blog Gigaom that they were investigating the matter. In March 2016, soccer star Pelé filed a lawsuit against Samsung in the United States District Court for the Northern District of Illinois seeking $30 million in damages claiming violations under the Lanham Act for false endorsement and a state law claim for violation of his right of publicity. The suit alleges, that at one point Samsung and Pelé came close to entering into a licensing agreement for Pelé to appear in a Samsung advertising campaign. Samsung abruptly pulled out of the negotiations. The October 2015 Samsung ad in question, includes a partial face shot of a man who allegedly "very closely resembles" Pelé and also a superimposed ultra-high-definition television screen next to the image of the man featuring a "modified bicycle or scissors-kick", perfected and famously used by Pelé. On 1 April 2013, several documents were shown on TaiwanSamsungLeaks.org that the advertising company OpenTide (Taiwan) and its parent company Samsung are hiring students to attack its competitors by spreading harmful words and biased opinions/reviews about other phone manufacturers' products such as Sony and HTC in several famous forums and websites in Taiwan in order to improve its brand image. The uploader of the documents, hacker "0xb" said that the documents were intercepted from an email between OpenTide and Samsung. Taiwan Samsung Electronics announced 4 days later, guaranteeing the company will "stop all online marketing strategies which involves publishing and replying in online forums." It was widely reported by the Taiwanese media. Taiwan later fined Samsung Electronics for the smear campaign. 1 2 "Articles of incorporation". Samsung. 1 2 3 4 5 6 "Samsung Electronics Co., Ltd Annual Report 2014". Yahoo!. Retrieved 14 December 2015. ↑ "Samsung Global Strategy Group 2013" (PDF). Archived from the original (PDF) on 2 May 2014. Retrieved 5 March 2014. ↑ "Samsung Beats HP to Pole Position". Financial Times. Retrieved 28 January 2010. ↑ "How Samsung Became the World's No. 1 Smartphone Maker". Business Week. 28 March 2013. Retrieved 2013-05-07. ↑ Oh-Hyun Kwon: Executive Profile & Biography – Businessweek. Investing.businessweek.com (14 March 2013). Retrieved on 2013-12-08. ↑ "Ownership Structure". Samsung Electronics. Retrieved 22 November 2015. ↑ "Apple spent nearly $5.7 billion on Samsung parts in 2010, faces 'strong' response to its patent suit". engadget.com. 19 April 2011. Retrieved 2013-05-07. ↑ "HTC ditches Samsung components for other suppliers, a la Apple". www.techradar.com. 10 October 2012. Retrieved 2013-05-07. ↑ "Samsung Reports Best Sales Ever, Expects PC Deals in Q4". IDG News Service. Retrieved 29 October 2010. ↑ Samsung overtakes Apple as world's most profitable mobile phone maker | Technology. theguardian.com. Retrieved on 2013-12-08. ↑ BBC News – Samsung gains tablet market share as Apple lead narrows. Bbc.co.uk (1 February 2013). Retrieved on 2013-07-26. ↑ "Samsung To Add LCD Cell Lines in Tangjeong". EETimes. Retrieved 13 May 2010. ↑ Albanesius, Chloe (27 January 2012). "Samsung Beats Apple as 2011's No.1 Smartphone Maker". PC Mag. Retrieved 2 June 2012. ↑ "History – Corporate Profile – About Samsung – Samsung". Samsung. Retrieved 10 July 2011. 1 2 Michell, Tony (2010). Samsung Electronics: And the Struggle For Leadership of the Electronics Industry. John Wiley & Sons. p. 153. ISBN 978-0-470-82266-1. ↑ "Koreans Seen Buying More U.S. Concerns". The New York Times. 21 July 1995. Retrieved 6 September 2012. ↑ Burrows, Peter (16 November 2009). "Moto Droid off to a Good Start. But Is It Good Enough?". BusinessWeek. Retrieved 3 January 2013. ↑ "Samsung Extends Sponsorship of Olympic Games until 2016". Sportbusiness. 24 April 2007. ↑ "Samsung: The next big bet". 1 October 2011. Retrieved 2013-05-09. ↑ "Samsung – Company History – 1992–1996". Samsung. 1 2 "Apple supplier Samsung's rise is Steve Jobs' worst nightmare come true". gadgets.ndtv.com. 10 February 2013. Retrieved 2013-05-09. 1 2 3 Jungah Lee; Lulu Yilun Chen (4 October 2013). "Samsung's Record Pressures Rivals as HTC Posts Loss". Bloomberg. Retrieved 5 October 2013. ↑ "The Growing Giant: How Samsung Electronics Got Its Appetite". Knowledge SMU. 3 October 2010. ↑ "From Obscure Company to Electronics Giant". The Korea Herald. 2 November 2009. ↑ "Samsung Surpasses Sony for the First Time, Taking over the No. 20 Spot" (PDF). Interbrand. 21 July 2005. Retrieved 16 June 2010. ↑ "Motorola's Pain Is Samsung's Gain". BusinessWeek. 26 December 2007. Retrieved 16 June 2010. ↑ "The New 'Big Blue'". The Korea Times. 29 January 2010. Retrieved 14 March 2010. ↑ "Samsung Agrees To Plead Guilty and To Pay $300 Million Criminal Fine for Role in Price Fixing Conspiracy". U.S. Department of Justice. Retrieved 24 May 2009. ↑ Pimentel, Benjamin (14 October 2005). "Samsung Fixed Chip Prices. Korean Manufacturer To Pay $300 Million Fine for Its Role in Scam". San Francisco Chronicle. Retrieved 24 May 2009. ↑ "Price-Fixing Costs Samsung $300M". InternetNews.com. 13 October 2005. Retrieved 24 May 2009. ↑ Flynn, Laurie J. (23 March 2006). "3 To Plead Guilty in Samsung Price-Fixing Case". The New York Times. Retrieved 24 May 2009. ↑ "EU Fines Samsung Elec, Others for Chip Price-Fixing". Finanznachrichten.de. 19 May 2010. Retrieved 11 November 2010. ↑ "Joaquín Almunia Vice President of the European Commission Responsible for Competition Policy Press Conference on LCD Cartel, Visa and French Chemists' Association Decisions Press Conference Brussels, 8 December 2010. ↑ "LCD Makers Under Fire". IEEE Spectrum. ↑ "Lee Kun-hee Returns to Samsung". Taipei Times. 25 March 2010. ↑ David Pierce (24 April 2013). "Samsung Galaxy S4 review". The Verge. Vox Media, Inc. Retrieved 6 August 2013. ↑ "Samsung issues weaker than expected profit forecast". BBC. Retrieved 7 July 2013. ↑ "Samsung buys set top box maker Boxee". Retrieved 3 July 2013. ↑ Kim Yoo-chul (11 September 2013). "Samsung to expand China business". The Korea Times. Retrieved 13 September 2013. ↑ Tae-hoon, Lee (14 October 2013). "Samsung admits to using used PC parts". The Korea Observer. Retrieved 16 October 2013. ↑ Jordan Crook (4 March 2014). "And The Oscar Goes To… Samsung, Jennifer Lawrence, And Selfies". TechCrunch. AOL Inc. Retrieved 5 March 2014. ↑ Anthony Ha (4 March 2014). "Samsung To Donate $3M To Charities Chosen By Ellen, Says It Was Included "Organically" In Her Oscar Selfie". TechCrunch. AOL Inc. Retrieved 5 March 2014. ↑ Lunden, Ingrid (17 April 2014). "Samsung and Amazon Team Up For Custom Galaxy Kindle E-Book App". TechCrunch. ↑ ChrisWelch. "Not dead yet: Barnes & Noble will release new Nook tablet this year". The Verge. Vox Media. ↑ Reisinger, Don. "Samsung, Barnes & Noble team up on tablet design (The arrival of the Galaxy Tab 4 Nook effectively ends Barnes & Noble's ill-fated foray into hardware design. But what's in it for Samsung?)". CNET. 1 2 "Barnes & Noble enlists Samsung for Nook tablet". USA Today. Associated Press. 5 June 2014. ↑ "Samsung and Barnes & Noble Announce Partnership to Create Co-Branded Tablets: Samsung Galaxy Tab 4 NOOK Combines Leading Samsung Tablet Technology with the Award-Winning NOOK® Reading Experience". BUSINESS WIRE. NEW YORK & RIDGEFIELD PARK, N.J. 5 June 2014. ↑ Hoffelder, Nate (5 June 2014). "Samsung Scores New eBook Coup – Will Develop Co-Branded Samsung Galaxy Tab 4 Nook Tablet". The Digital Reader. ↑ "Samsung's Q1 Profit Drops 39% Due To Heavier Smartphone Competition". 28 April 2015. ↑ "IKEA and Samsung launch embedded wireless charging range". Reuters. 5 March 2015. Retrieved 21 November 2016. ↑ "Samsung Display Solutions". Retrieved 15 June 2016. ↑ "Samsung will acquire cloud-computing company Joyent". Retrieved 17 June 2016. ↑ Russell, Jon. "Samsung is buying Harman for $8B to further its connected car push". TechCrunch. Retrieved 2016-11-14. ↑ Samsung 1993. Corporatebrandmatrix.com (19 May 2007). Retrieved on 2013-03-19. ↑ "Our Businesses – About Samsung – Samsung". Samsung. Retrieved 14 March 2010. ↑ Fernandes, Louella (8 June 2009). "Samsung Launches New Channel MPS Tools". Quocirca. Retrieved 28 April 2016. ↑ "Samsung SDI – The World's Largest OLED Display Maker". Oled-info.com. Retrieved 17 August 2009. ↑ "Samsung, LG in Legal Fight over Brain Drain". The Korea Times. 17 July 2010. Retrieved 30 July 2010. 1 2 "Frost & Sullivan Recognizes Samsung SDI for Market Leadership in the OLED Display Market". Findarticles.com. 17 July 2008. Retrieved 17 August 2009. ↑ "Samsung Super AMOLED Plus display announced". Retrieved 6 January 2011. ↑ "Experts Advise: LED TV Is Not Necessarily Choose the Thinner the Better-LED TV, Samsung Electronics". ArticleKingPro. ↑ "Samsung Electronics LCD". IT TIMES. 13 October 2009. ↑ "New Samsung 3.9mm LED TV Panel Is World's Thinnest". I4U. 28 October 2009. ↑ Alex Lane (6 September 2013). "John Lewis TV Gallery video: 4K and OLED from Samsung, Sony, LG and Panasonic". Recombu. Recombu. Retrieved 26 September 2013. ↑ Jordan Crook (8 October 2013). "That Curved Display Smartphone From Samsung Is Real: Meet The Galaxy Round". TechCrunch. AOL Inc. Retrieved 10 October 2013. ↑ "Top iPhone Alternatives". CNET Asia. 12 August 2010. ↑ Vikas SN (28 May 2010). "Samsung Galaxy S To Arrive in Singapore First". MobileKnots. Retrieved 28 November 2010. ↑ "First Impressions: Samsung Galaxy S". Soyacincau. 28 June 2011. Retrieved 28 November 2011. ↑ "슈퍼 스마트폰 '갤럭시S' 전국 판매 돌입". BIZPlace (in Korean). 24 June 2010. Retrieved 28 November 2011. ↑ "Samsung: 1 Million Galaxy S Smartphones in 45 Days in the US". Fortune. 29 August 2010. ↑ Woyke, Elizabeth (25 March 2010). "Samsung Playing All Sides to Win". Forbes. ↑ "Phone Finder results - GSMArena.com". ↑ Applelinks iOS News Reader – Monday, November 1, 2010. Applelinks.com (1 November 2010). Retrieved on 2013-07-26. ↑ "Apple Joins Top Five Mobile Phone Vendors as Worldwide Market Grows Nearly 15% in Third Quarter, According to IDC" (Press release). IDC. 28 October 2010. Retrieved 11 July 2013. ↑ "Nokia, LG Lose While ZTE, Apple Gain Q4 2010 Market Share". mobileburn.com. 28 January 2011. ↑ Staff (28 October 2011). "Samsung Overtakes Apple in Smartphone Sales". BBC News. ↑ "Apple's new iPhone to have larger screen: Sources". The Times of India. Retrieved 16 May 2012. ↑ "Samsung Remains Top DRAM Maker Amid Dramatic Market Growth". Dow Jones. 9 January 2010. ↑ "Samsung Develops Most Advanced Green DDR3 DRAM". Semiconductor Packaging News. 3 February 2010. ↑ "Samsung Extends Lead in DRAM Rankings". EE Times. 9 August 2010. ↑ ""We Wouldn't Launch a New Business Unless We Knew We Could Win"---Jeong-ki (Jay) Min". Samsung日 NE Asia. August 2010. ↑ "Samsung To Overtake Intel as No. 1 Chip Company in 2014". Electronics Weekly/EE Times. 26 August 2010. ↑ "Top 20 Semi Manufacturers from IC Insights". Electronics Weekly/EE Times. 30 July 2010. ↑ By David Steele, Android Headlines. "Samsung Now Fourth Largest Chipset Manufacturer Globally." 9 May 2016. 12 May 2016. ↑ "KOREA: LG, Samsung Aim Upmarket To Reinforce Their TV Market Lead". What Hi-Fi. 24 August 2010. ↑ "Samsung Named LCD TV Market Leader". Techwatch. 20 October 2009. 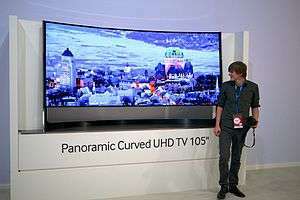 ↑ "CES 2010: Samsung Reveals 0.3-Inch Thin Flagship LED HDTV; As Thick as a Pencil with Touchscreen Remote". ZDNet. 7 January 2010. ↑ "Samsung 3D TV Sells More Than 1 Million Units". MK Business News. 31 August 2010. ↑ "Samsung Introduce the World's First 3D Home Theater in Korea with the HT-C6950W". AkihabaraNews. 12 May 2010. ↑ "The Wonder of Samsung Smart TVs". ↑ "Samsung Unveils First Ever Application Store". Samsung. 7 January 2010. ↑ "Samsung Lets You Store 500 Movies on a Laptop Hard Drive". VentureBeat. 7 April 2010. ↑ "2009 Samsung Annual Report" (PDF). Samsung. 1 2 Gershgorn, Dave (17 August 2015). "Samsung Wants To Blanket The Earth in Satellite Internet". Popular Science. Retrieved 2015-08-21. ↑ Khan, Farooq (2015). "Mobile Internet from the Heavens" (PDF). arxiv.org. Retrieved 2015-08-21. ↑ "Samsung names Kwon Oh-hyun as new CEO". The Times of India. 7 June 2012. ↑ "Samsung Executives Dyeing Hair Black". 16 January 2011. ↑ "About Samsung>Management>Board of directors". Retrieved 16 November 2010. ↑ "Samsung's Share of Global DRAM Market Exceeds 40%". Taiwan Economic News. 8 November 2010. ↑ "Samsung Electronics Expands Its NAND Flash Market Share in Q2". Tradingmarkets. 4 August 2010. ↑ "Large-Size TFT Shipments and Revenues Fell as Supply Chain Sought Inventory Reductions in 3Q10". DigiTimes. 12 November 2010. ↑ "SMD Enjoys Soaring Demand for AMOLED Panel". Maeil Business Newspaper. 1 July 2010. ↑ "Samsung Takes The Second Place in Rechargeable Battery Market, Following Sanyo, in the First Quarter of 2010". Solar&Energy. 20 May 2010. ↑ "Seagate Still Number One in Global HDD Shipments". TechSpot. 23 March 2010. ↑ "WD, 올해 1분기 시게이트 제치고 점유율 1위 달성(English: Western Digital Has Been a 1st Market Sharer on Q1)". Bodnara (South Korea). 3 June 2010. ↑ "Samsung Devours TV Market Share". SmartHouse. 18 February 2010. ↑ "(Samsung's share grows while Apple's declines in Q3 smartphone market)". Infoworld. 29 October 2013. ↑ "Samsung Sees Hybrid Camera Mkt Growing 10-Fold by 2015". Reuters. 14 September 2010. ↑ "Qualcomm Captures 50 Percent Revenue Share in the Smartphone Apps Processor Market in 2011". Strategy Analytics. 20 February 2012. Retrieved 11 July 2013. ↑ "Sony, Apple, Dell Are Samsung's Big Buyers". The Korea Times. 16 June 2010. Retrieved 26 October 2010. 1 2 "Insight: Apple and Samsung, frenemies for life". Reuters. 10 February 2013. Retrieved 2013-05-09. ↑ "Apple CEO Tim Cook Never Wanted to Sue Samsung". IGN. 11 February 2013. Retrieved 2013-05-09. ↑ "BBC News – Apple sues Samsung for 'copying' iPhones and iPad". BBC Online. 19 April 2011. Retrieved 21 April 2011. ↑ "Samsung Sues Apple After Accusations of 'Copying'". BBC News. 22 April 2011. Retrieved 26 April 2011. ↑ Richmond, Shane (9 August 2011). "Samsung Galaxy Tab 10.1 Blocked in Europe". The Daily Telegraph. London. Retrieved 21 August 2011. ↑ "Samsung Galaxy Tab Ban Is on Hold". BBC News. 16 August 2011. ↑ "Samsung wins over Apple in Japan patent case". Reuters. Retrieved 31 August 2012. ↑ Whittaker, Zack (8 November 2012). "Apple quietly pulls apology-hiding code from U.K. site". CNET. Retrieved 11 July 2013. ↑ Palenchar, Joseph. "Analysts See Potential in Samsung, Best Buy Tie-Up" (28). TWICE. ↑ Chen, B. "Samsung Plans Mini-Stores in Best Buys". New York Times. Retrieved 17 November 2014. ↑ "Samsung Electronics Canada Strengthens National Retail Presence to Provide Consumers with Connected Shopping Experiences". Samsung CA. 23 October 2013. ↑ Belz, Adam (2 May 2014). "Best Buy Signs New Store-within-a-store Deals with Samsung, Sony". Minneapolis Star Tribune. San Jose Mercury News. ↑ Nussbaum, Bruce (1 August 2009). "Samsung Beats Apple in the IDEA/BusinessWeek Design Awards". BusinessWeek. Retrieved 2013-07-10. ↑ "Samsung Products Win iF Awards". JoongAng Daily. 26 April 2010. ↑ "Policy on target substances – Chemical Management – Environment – Sustainability – About Samsung – Samsung". Samsung Electronics. Retrieved 2 August 2010. 1 2 "Guide to Greener Electronics – Greenpeace International". Retrieved 16 November 2011. ↑ "Management of target substances – Chemical Management – Environment – Sustainability – About Samsung – Samsung". Retrieved 2 August 2010. ↑ "Calling out Samsung for toxic failure – Greenpeace International". Retrieved 2 August 2010. 1 2 "Who's Greener, Samsung or LG?". Business and Technology Report. Retrieved 13 January 2010. ↑ "Samsung Sustainability Initiatives: What's Working?". The Daily Energy Report. Retrieved 29 May 2012. ↑ "Samsung Leads in Green Management". The Korea Times. Retrieved 26 July 2010. ↑ "Enviros Applaud Samsung for New Free National Recycling Program". Electronics TakeBack Coalition. Retrieved 8 September 2008. ↑ "The heart breaking story of Samsung semiconductor workers". Hani. ↑ "A carcinogenic career at Samsung". FfIF. ↑ "IndustriALL Executives condemn Samsung for union busting". IndustriALL. ↑ "About the victims". SHARPS. ↑ "Samsung offers apology and compensation to workers who got leukemia". The Verge. ↑ "Samsung Finally Apologizes To Workers Who Got Cancer While Making Chips". Huffington Post. ↑ "Antitrust: Commission fines six LCD panel producers €648 million for price fixing cartel". European Commission. ↑ "Canadian DRAM Class Action". ↑ Kane, Yukari Iwatani; Sherr, Ian (19 April 2011). "Apple: Samsung Copied Design". The Wall Street Journal. Dow Jones & Company. Retrieved 11 August 2012. ↑ "Apple Inc. v. Samsung Electronics Co. Ltd. et al.". United States District Court, Northern District of California. Retrieved 11 August 2012. ↑ Patel, Nilay (19 April 2011). "Apple sues Samsung: a complete lawsuit analysis". The Verge. Vox Media. Retrieved 11 August 2012. ↑ Lowensohn, Josh (24 August 2012). "Jury awards Apple more than $1B, finds Samsung infringed". CNET. CBS Interactive. Retrieved 24 August 2012. ↑ Burnett, Ed, The verdict is in: Samsung vs. Apple, zdnet.com, 25 August 2012. Retrieved 23 October 2012. ↑ Téléphonie mobile: Samsung prend l'explosion d'un de ses Galaxy "très au sérieux" – Faits Divers. lematin.ch. Retrieved on 2013-12-08. ↑ Samsung Galaxy S3 Explosion in Swiss Teenager's Pocket Leaves Her Thigh Numb – IBTimes UK. Ibtimes.co.uk (11 July 2013). Retrieved on 2013-12-08. ↑ "Galaxy S3 Explodes, Injuring Woman: Report". The Huffington Post. 10 July 2013. ↑ "Galaxy S3 Reportedly Explodes, Samsung Investigating". The Huffington Post. ↑ Drew Guarini (29 July 2013). "Exploding Samsung Galaxy S4 Allegedly Starts Fire, Destroys House". The Huffington Post. Retrieved 5 January 2014. ↑ Axee (April 2013). "Another Samsung Galaxy S4 found burned at the bottom during charging.". AxeeTech. AxeeTech. Retrieved 5 January 2014. ↑ "ЭКСКЛЮЗИВ. В РОССИИ ЗАФИКСИРОВАН СЛУЧАЙ ВОЗГОРАНИЯ SAMSUNG GALAXY S4". mail.ru (in Russian and English). mail.ru. 11 December 2013. Retrieved 5 January 2014. ↑ "'Exploding phone' sets pram on fire". Oxford Mail. 9 October 2013. Retrieved 5 January 2014. ↑ P., Daniel (16 October 2013). "Samsung acknowledges Galaxy S4 swelling battery issue, offers free replacements". PhoneArena. PhoneArena. Retrieved 25 November 2013. ↑ "Samsung Launches Galaxy S4 Battery Trade-In Program". CCM. ↑ Wygand, Richard. "samsung galaxy s4 caught fire proof for samsung". Retrieved 13 December 2013. ↑ Wygand, Richard. "et tu, samsung? (Legal document received from Samsung)". Retrieved 13 December 2013. ↑ Wygand, Richard. "samsung galaxy s4 catches on fire samsung wants silence". Retrieved 13 December 2013. ↑ "Galaxy S4 in the UAE bursts while charging, owner unhurt (thankfully)". VR-Zone. 1 2 3 "Samsung Announces "Product Exchange Program" For Galaxy Note 7 – But Don't Call It A Recall". The Consumerist. Consumer Reports. Retrieved 3 September 2016. ↑ "Samsung recalls Galaxy Note 7 worldwide due to exploding battery fears". The Verge. Vox Media. 2 September 2016. Retrieved 2 September 2016. ↑ "[Statement] Samsung Will Replace Current Note7 with New One". Samsung. 2 September 2016. Retrieved 17 September 2016. ↑ "Consumer Reports: Samsung Should Officially Recall the Galaxy Note7". Consumer Reports. Retrieved 3 September 2016. ↑ "Government Issues Official Recall Of Samsung Galaxy Note 7". Forbes. 16 September 2016. Retrieved 17 September 2016. ↑ Bart, Jansen (5 October 2016). "Smoking, popping Samsung Galaxy Note 7 prompts Southwest evacuation". USA Today. Retrieved 5 October 2016. ↑ Golson, Jordan (8 October 2016). "Another replacement Galaxy Note 7 has reportedly caught fire". The Verge. Vox Media. Retrieved 9 October 2016. ↑ Vincent, James (11 October 2016). "The Galaxy Note 7 is dead". The Verge. Vox Media. Retrieved 11 October 2016. ↑ "Samsung permanently stops Galaxy Note 7 production". BBC News. 11 October 2016. Retrieved 11 October 2016. ↑ Accessed November 24, 2016. ↑ Golson, Jordan (14 October 2016). "The Galaxy Note 7 will be banned from all US airline flights". The Verge. Retrieved 14 October 2016. ↑ Etherington, Darrell (14 October 2016). "U.S. Department of Transportation bans Galaxy Note 7 from all flights". TechCrunch. Retrieved 14 October 2016. ↑ "Samsung Galaxy Note 7: Qantas, Virgin and Singapore Airlines ban phone from flights". ABC News. Australian Broadcasting Corporation. 15 October 2016. Retrieved 15 October 2016. ↑ "¿Tienes un Galaxy Note 7? Aerolíneas mexicanas prohíben volar con él". www.elfinanciero.com.mx. Retrieved 2016-10-18. 1 2 Puga, Lauren (12 February 2015). "Pepsi Ads Seen in Personal Videos on Samsung Smart TVs". IGN. Retrieved 18 February 2015. ↑ "Pelé IP Ownership LLC v. Samsung Electronics Co., Ltd., No. 16-03354 (N.D. Ill. amended complaint filed May 25, 2016)". Retrieved 23 June 2016. ↑ Batterman, L. Robert (23 June 2016). "Soccer Legend Pelé Calls for a Yellow Card against Samsung". The National Law Review. Proskauer Rose LLP. Retrieved 23 June 2016. ↑ "2013/4/1 論壇打手事蹟 ─ 2012" (in Chinese). taiwansamsungleaks.org. ↑ ETtoday 新聞雲 (6 April 2013). "網路行銷惹爭議！　台灣三星：尊重評論並停止論壇操作". ETtoday 東森新聞雲. ↑ zdnet (25 October 2013). "Samsung fined $340K in Taiwan for smearing rivals". ZDNet. Retrieved 9 November 2013. 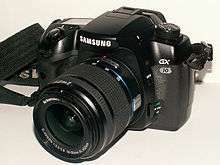 Wikimedia Commons has media related to Samsung Electronics.